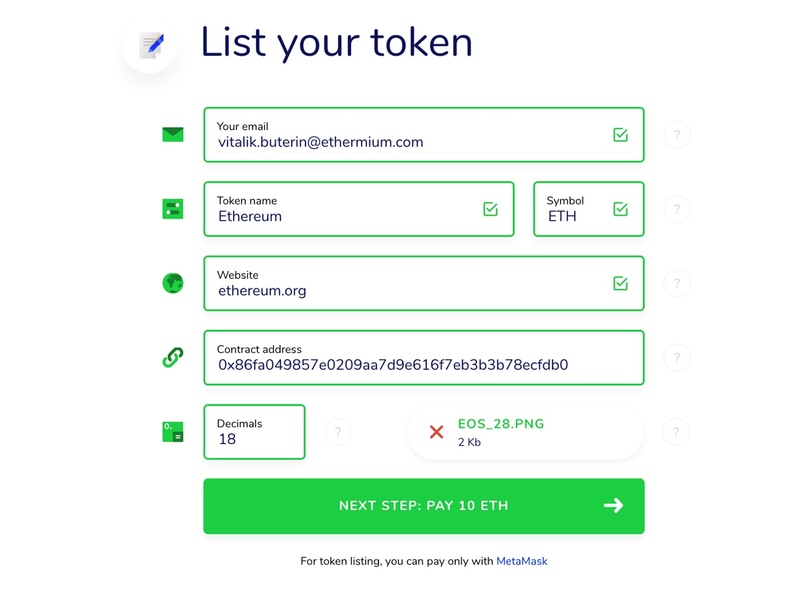 EtherMium.com allows instant listings of new tokens through our online form. We charge a listing fee in order to prevent people from spamming the service with useless tokens. The token listings are managed by a smart contract. 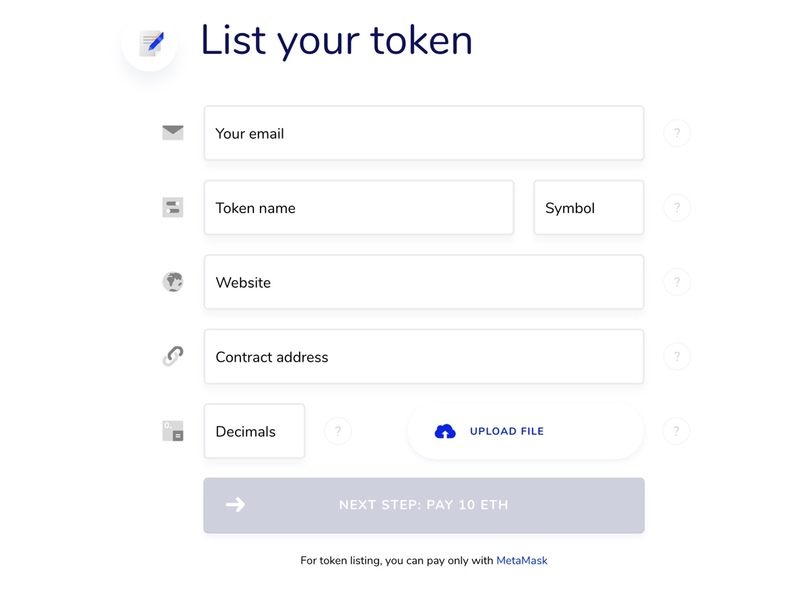 Once you complete the form and make the payment, your token will be recorded on the Token List contract and stay there forever. 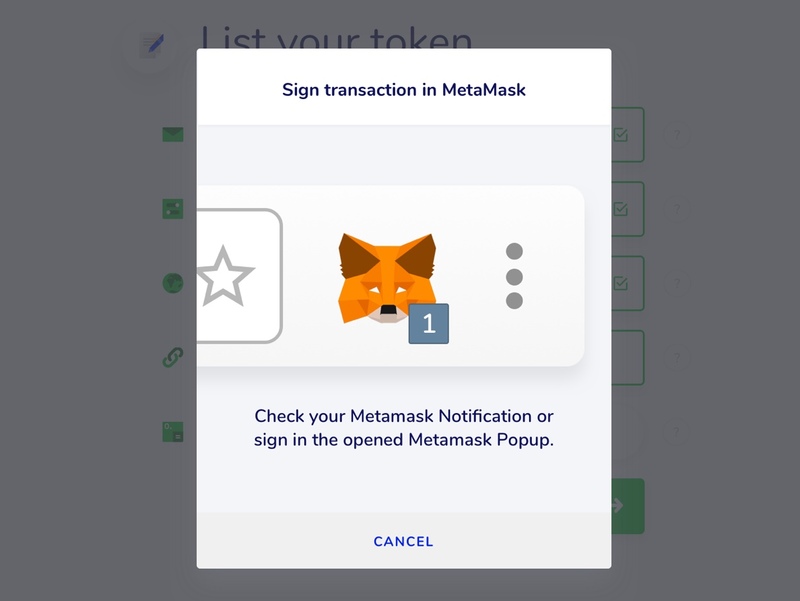 Open your MetaMask account (token listings are possible using MetaMask only) from the upper right corner of the screen (if you don't see your account in the list, make sure MetaMask is unlocked). Go to Main Menu and select “LIST YOUR TOKEN” from the left sidebar. Complete our simple form. 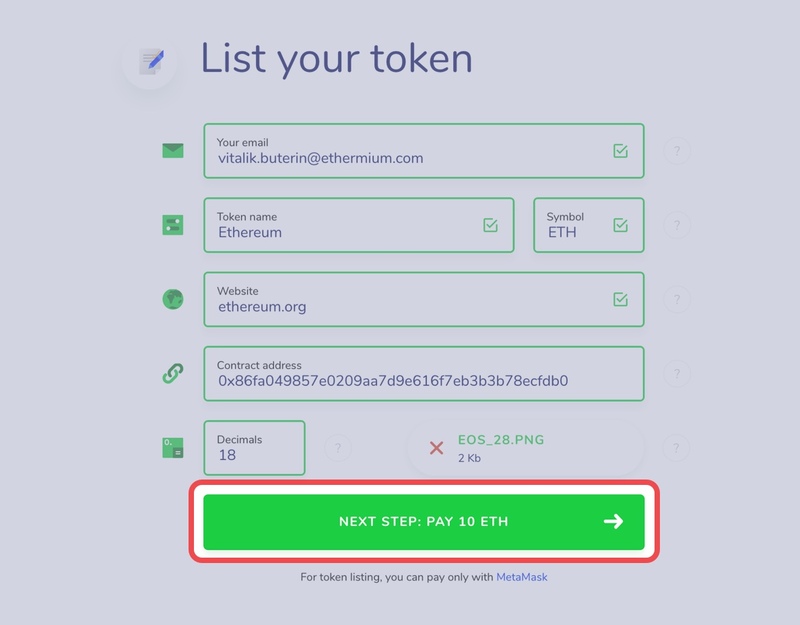 Make sure you fill in all the details correctly, this will ensure that the token is represented correctly on EtherMium.com. 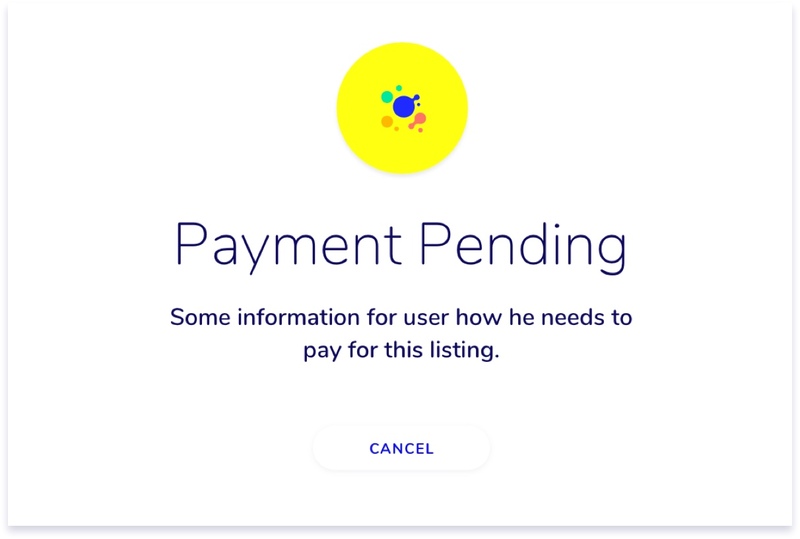 Press the "PAY" button to generate the listing transaction. 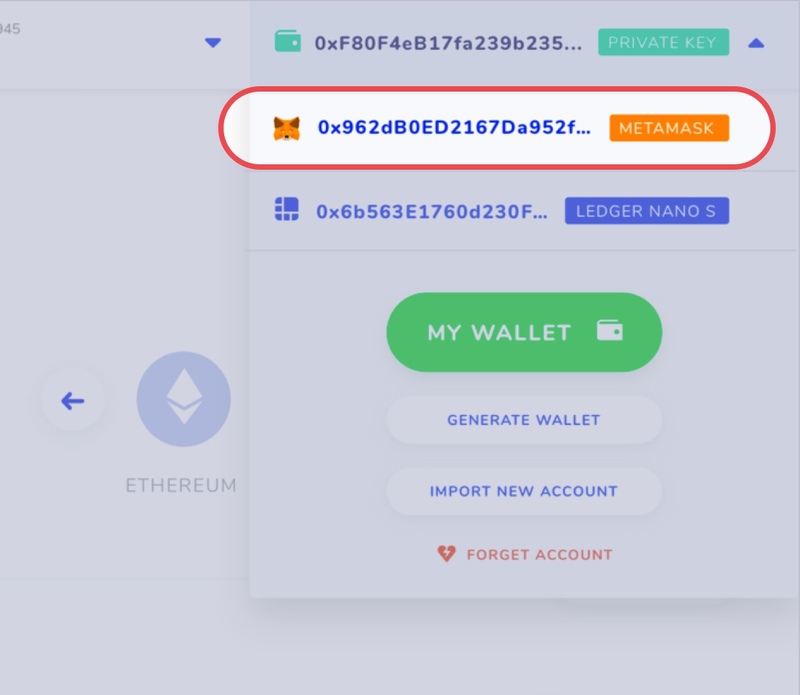 Submit the transaction from MetaMask window. Wait for your payment to be confirmed by the Ethereum network. Your token is listed! 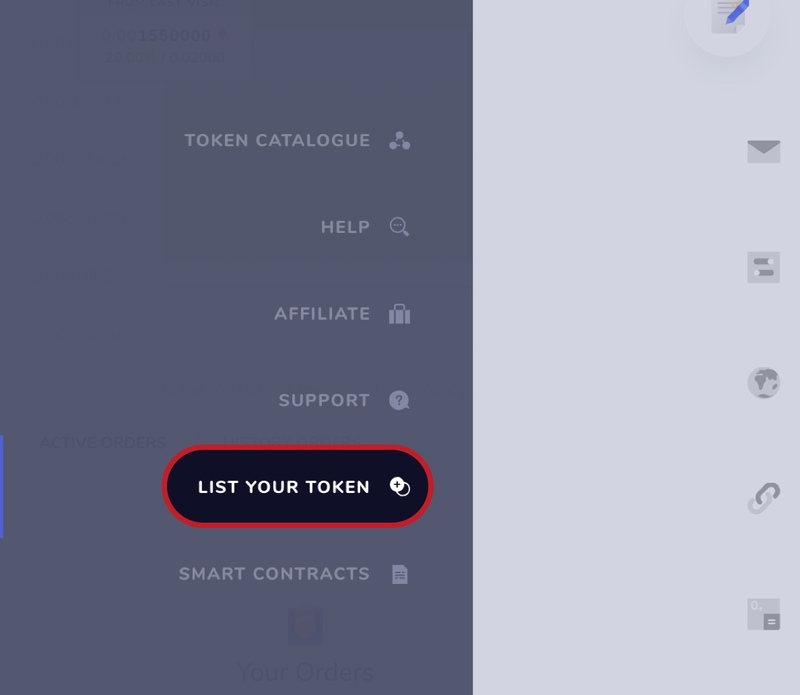 Refresh the website to see your token in the Token Catalogue. Please allow for a couple of minutes for the token to appear in the list.